Written by guest blogger Iliana Tan. This blog has been adapted from a recent article on LinkedIn Pulse. One year ago, my partner and I decided to join the Go Green in the City competition. We discussed the opportunity in a coffee shop in Taft (Philippines) and had our “Eureka!” moment. What happened next was very overwhelming, and to this day, I still cannot believe how the entire thing happened. I gained learnings and insights along the way. Right now, you might be in the same position of trying to crack the next big idea. With this, I want to share with you the key insights I learned in my Go Green in the City (Go Green) experience. Find gold. Start with the basics and find the right partner. It can be difficult to find the right partner, like finding gold. I cannot stress how important this is because this will set the entire tone of your Go Green experience. You have to make sure you do not find “another you” but someone who complements you and your skill sets. For our team, I handled the structure and presentations (the macro) while my partner handled all the details and the computations (the micro). It is also important that both of you should work at the same pace and are capable of delivering the same quality. You also always have to be in sync with each other and on the same page. Alignment is very important, and when you have the right partner, the alignment would come naturally. If you do not find the right partner on your own, there is still time to find a partner through the Go Green web portal. Register and complete your profile to begin your search. Scope down. You cannot solve all the world’s problems in one case challenge. When presenting your solution, you are very limited. My partner and I chose cooling solutions as our target category. From there, we had to choose which facility to cool. There are many facilities that need cooling solutions, including data centers, commercial high-rise buildings, and residential homes. We chose a facility and studied the cooling requirements of that facility, as well as other factors that influence the cooling considerations of the facility. This year’s topics are very different from last year’s, but are still very broad in nature. Make sure that you have a prior understanding of your scoped-down market. Also ensure the scope you choose is a considerable market that behaves in a similar way. This will be very helpful for your future assumptions in the case. Be realistic. It is very easy to get away with ideas, especially when the competition requires innovation. When brainstorming your solution, it is okay to give out-of-this-world ideas, but do not forget to synthesize your brainstorm after. During synthesis, you must play devil’s advocate to your ideas and make sure it is possible. The feasibility barrier you must address first is technological feasibility. It must be clear that your solution is possible because no one is going to treat your idea seriously if it sounds unrealistic. Provide literature, current practices, or established inventions that can justify the feasibility of your project. Big bonus if you can clearly differentiate your project from the available technologies. Think structure. You already have your problem and your solution which is the meat of the project, but it is going to be useless if you cannot present it properly. When you present your story, you have to structure it well. The most important thing is that your conflict has to be clear so start with its context. After laying down the groundwork and revealing your conflict, explain the gaps and opportunities before presenting the solution. The idea behind this is that the gaps and opportunities serve as the bridge to make sure that your solution aligns with the conflict you are presenting. The last thing you need to do is to justify why your solution is the best solution. In Go Green in the City, it is important to justify your solution in three aspects: economic impact, environmental impact, and people impact. To further strengthen the impact of your solution, you can apply key performance indices such as payback period (economic), reduction in emissions (environmental), and productivity increase (people). It also is important to double check and make sure that your story is easy to understand and that the story-line is cohesive and easy to follow. Show simplicity. In communicating your idea, you must make it easy to understand. For example, you have to explain how your project works. Do not put jargon that can only be understood with a prior knowledge of the subject matter. Make sure you use words that are generally understood. It is hard to overcome this especially if you are coming from a very technical background, but it gives you a big edge in the competition. Do not give your solution too many functionalities. It is better that you limit the functionality of the solution into one which, directly answers the issue that you are trying to solve. You might think it looks good that to solve more than one problem, but it is easier to comprehend one problem-one solution rather than three problems-three solutions. What’s your bold idea? 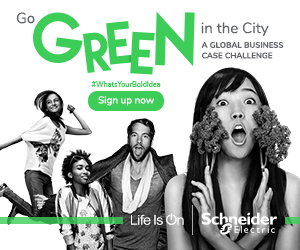 Share it in the Go Green in the City global challenge. Go Green received around 300 applications last year, and with its current publicity efforts, that number will shoot up. Apart from my key learnings, you also have your own learnings from prior engagements that you can apply to set your work apart. Good luck with your application! If you have not yet heard about Go Green, you can learn more about it here: https://www.gogreeninthecity.com/. Feel free to send me a message if you want to talk about it. I would be more than willing to lend a hand. You can email me at iliana_tan@dlsu.edu.ph. Looking for a career change? 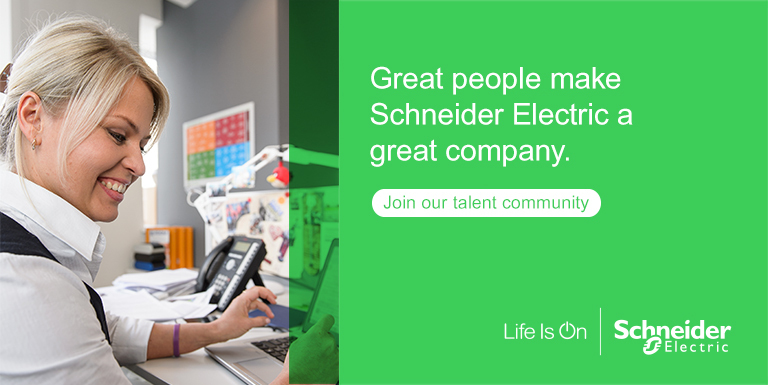 We’d love to have you join as one of our #SEGreatPeople! Check out our job openings. 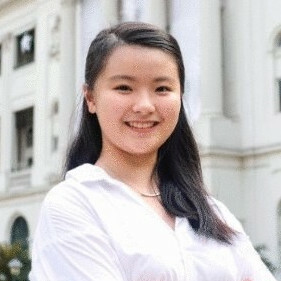 Iliana Tan is a Chemical Engineering student at De La Salle University, taking the Bachelor’s and Master’s ladderized program. Contrary to her technical background, she very much enjoys business aspects specifically marketing. 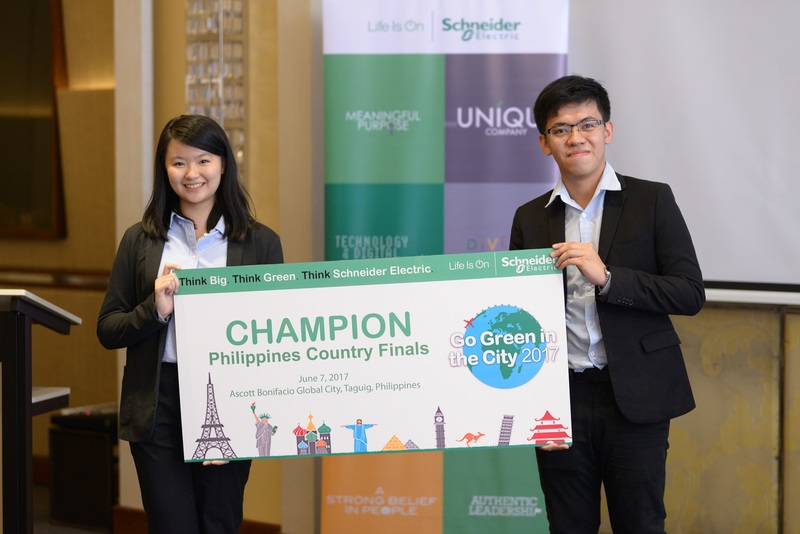 She and her partner placed 1st runner up in the Go Green in the City 2017 Asia Pacific Finals for their Glass-X project. 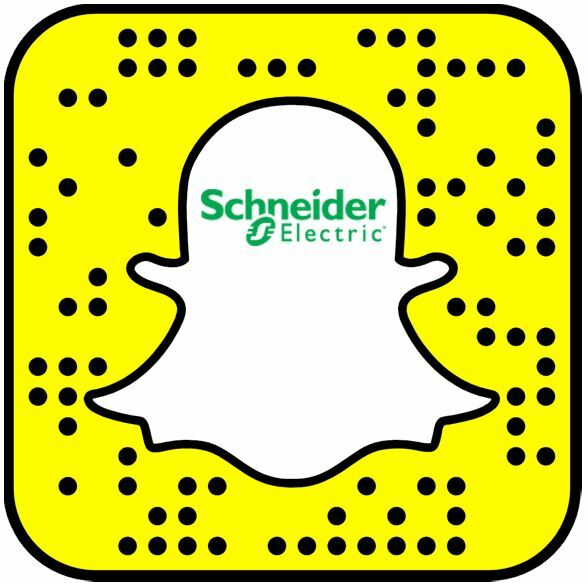 Life after Winning Go Green in the City 2017 Nurturing Sustainability by virtue of Technology : GGITC 2017 Go Green in the City: Fighting World Hunger with Innovative Energy Solutions What it’s like to be a Global Go Green Finalist?